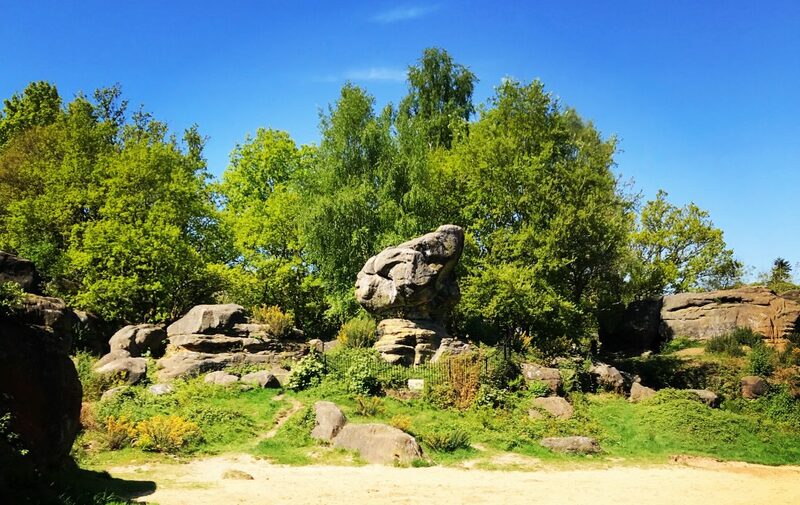 I’m writing this post to help anyone else that suffers the same misfortune as we did this Easter, as there seems to be very little information online about caravan plumbing and the particular problem we had. After arriving at the Dorset Hideaway campsite on Thursday evening, we hooked up as normal, and shortly after, were dismayed to find that the carpet around the toilet was very wet. After lifting the carpet we found a small trickle of water coming from the direction of the shower unit. We immediately switched off the water pump and opened a tap in the kitchen to reduce the water pressure in the system, which stopped anymore water escaping. Then it was a case of opening up all of the access panels in the base of the sink and shower units and quickly mopping up the accumulated water. Then, with some trepidation, we switched the pump back on to try and pin-point the leak, which was immediately very obviously coming from the base of the shower mixing tap. Never having had to deal with caravan plumbing before, we turned to the internet for help but were amazed at how little up to date information is available. Fortunately, Kay belongs to the Caravaning Talk UK forum (Facebook group) and we were guided on how to remove the mixer tap by a kind and knowledgeable person on the forum. First you must remove the plastic locking nut that secures the tap, which is not so easy without a very large adjustable spanner. Even if you have one, which I didn’t, access is pretty tight and I assume caravan engineers have a special spanner for this. In the end, I carefully used a flat blade screw driver to gently knock the plastic locking nut until it became loose – do be careful though as a slip could damage the plastic of the shower cubicle and create a whole new set of problems! 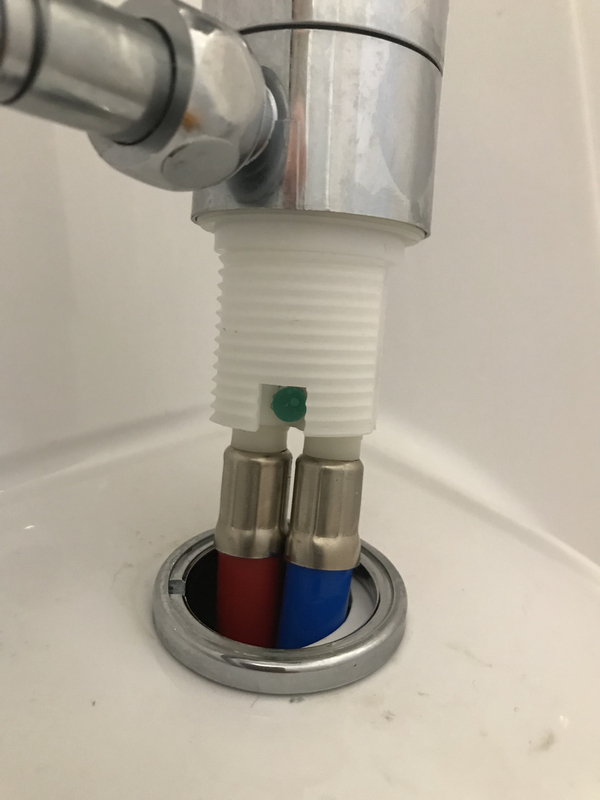 Once the locking nut is removed, the next problem is that there is no slack in the pipework, which is literally “made to measure” and you cannot pull the tap out enough to get to access to the pipes. 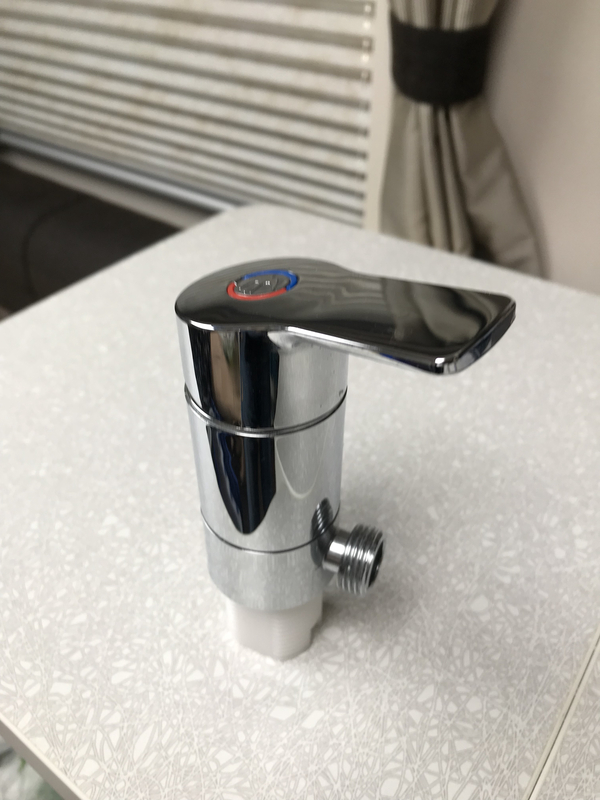 You will need to remove the “P Clip” that secures the pipes and then gently push the pipes towards the shower tap to give yourself enough spare movement to pull the mixer tap out – see below. 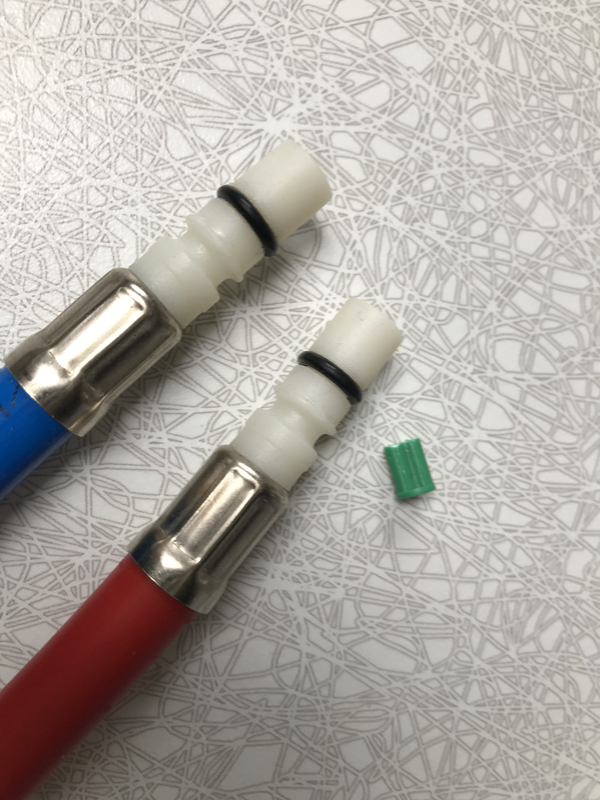 The pipes are held in place by a small green peg that fits in to a “keyway” slot in each of the pipes – the next image shows this in more detail. The green peg can be gently prised out with a small flat blade screwdriver; ours actually came out in two halves, which I am not sure was part of the problem or whether I broke it during this removal process. Anyway if you replace “like for like” you will get a new green peg, so don’t worry. Once the green peg is out, the two pipes can be gently pulled away from the tap. They have an O-ring seal, so you will feel some resistance and are advised to have a towel ready to catch any water, although there should not be too much if you have already opened the shower tap. The mixer tap is a pretty cheap and nasty plastic fitting and I am not sure who makes it for Swift. It looks like the Caraflo Mila but is all plastic, which makes it very light, but also not very robust. On inspection, I could see a tiny crack in the base where one of the pipes was inserted, which I was tempted to try and seal up, but in my opinion you cannot mess about with water, gas or electrics, so I decided against this course of action. The caravan is 3 years old and we pretty much caravan the whole year round, religiously opening all of the taps in cold weather, so we were surprised that this fault had developed. The caravan had its 3rd service in February, when all of the plumbing was checked, so it must have happened in March. It had been a very cold month, so perhaps some liquid in the system had frozen and caused the problem, but I guess we will never know for sure? We had to make do with fetching kettles and bottles of water that evening as I could not turn the pump back on with the tap removed and the next morning we went off in search of a caravan supplies shop. As it turned out, we were very lucky indeed to be close to Dorset Leisure Centre who have a comprehensive stock of parts and a very helpful and professional owner. He gave us a couple of options – one plastic unit very similar to what we had, which was nearly £60 – or a metal mixer tap by Whale, which rather surprisingly was only £40. 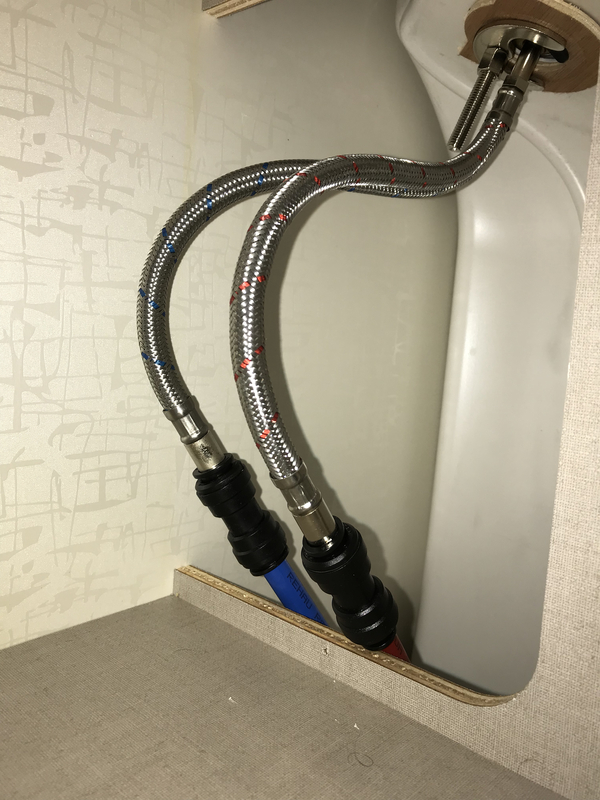 The Whale unit (Part No TT1421) looked good, felt much more solid and admittedly heavier than our failed tap, so we decided to buy it along with a length of the 12mm blue and red pipework and a pair of joiners. I think we got lucky, as a quick look online showed that this particular Whale tap was pretty hard to find, but it did the job perfectly and we are very happy with the end result. Installation involved cutting about 6 inches off the old pipes as the Whale tap comes with 6 inch metal braided pipes (colour coded) and then using the joiners to fit them together. I have always been a bit wary of these plastic plumbing joints in the past and the first time we hooked everything up the join from the metal ends of the Whale braided pipes to the plastic joiner were not great and started to leak. Another quick chat with the Dorset Leisure Team and following their advice, I “roughed up” the metal ends of the Whale braided pipes with some sand paper. I must admit to have being slightly sceptical of this “trick of the trade”, but the extra friction seems to have sorted out the joints and we were very pleased to find no further leaks. So it really was a “Good Friday” with the water system back up and running, the carpet dried out and everything back to (better than) normal. Time for a well earned hot cross bun!